The one person who single-handedly changed Pakistan, perhaps forever, was the military dictator, General Ziaul Haq. 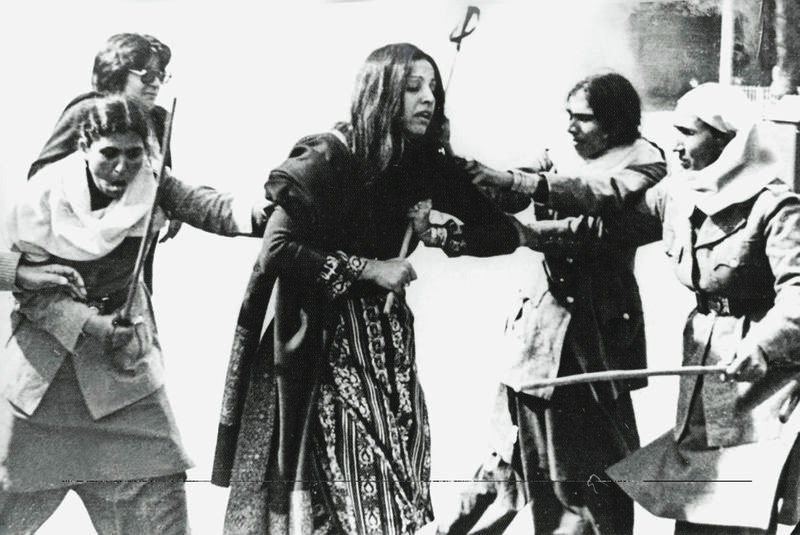 The photographs above show Habib Jalib, a poet known for his revolutionary zeal, being attacked by policemen during a demonstration organised by the Women’s Action Forum against the Law of Evidence that was promulgated by General Ziaul Haq. The photographs were taken on February 12, 1983, by Dawn photographer, the late Azhar Jafri, and symbolise the tyranny and repression that characterised Zia’s reign over Pakistan. The writer is a political economist based in Karachi. He has a PhD in History from the University of Cambridge, and teaches at Columbia University in New York and at the IBA in Karachi. This story is the ninth part of a series of 16 special reports under the banner of '70 years of Pakistan and Dawn.' Visit the archive to read the previous eight reports. THE Dawn Karachi is 70 this year. Over the decades, scores of people have joined hands to help the paper sustain its standing and standards. But there is one man whose contribution was singular. Without the direction he provided, Dawn could not have risen to the heights to which it has, notwithstanding the numerous crises it has had to weather in its eventful life. 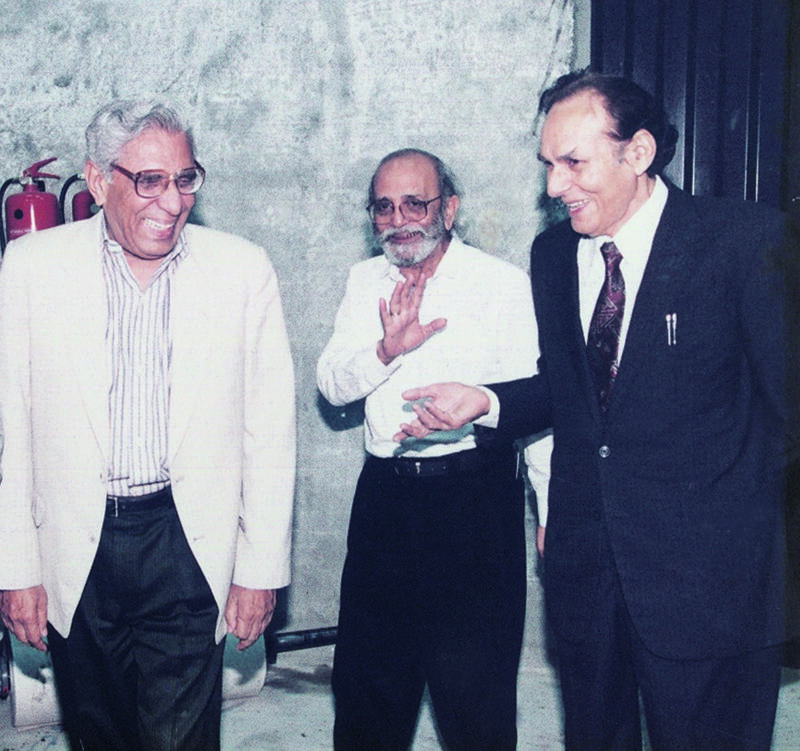 That one man was Ahmad Ali Khan, the longest serving professional editor of an English-language newspaper in Pakistan. Khan Sahib, as he was respectfully called, remained associated with the paper for 41 years; 28 of them as the editor. When he came to the helm in May, 1973, the newspaper was going through a severe financial crisis. To display its displeasure against the paper for its bold and independent stance, the government had been resorting to all kinds of measures to twist its arms. With his ingenuity, Khan Sahib not only pulled the paper out of troubled waters, but his enduring presence also provided Dawn the stability it needed to grow and expand. This was done gracefully without a hint of surrender. Ahmad Ali Khan modestly described himself as a survivor, but he was more than that. A survivor thinks only of saving himself. Khan Sahib’s mission was to keep the paper afloat, albeit without surrendering the paper’s, his own and his colleagues’ dignity or soul, to use his own words. For those of us who worked with him, it was important that we could all hold our heads high because we were made to feel a part of a big team working with a sense of purpose. The fact, however, remained that, as the leader, Khan Sahib’s was the brain that framed the purpose and set the tone. Under him, Dawn had to be a newspaper that upheld the highest principles of ethical journalism. It unswervingly stood for democracy, peace, tolerance, human rights and social justice. And while it adopted this stance, it was expected never to let go of truth at any cost. And what were those principles AAK (as he signed his initials on the memos we used to receive) stood for? Of course, reporting the truth and widening the horizons of freedom with responsibility were the top priorities as should be the aim of every media outlet. But in the process, Dawn adopted its own characteristic approach in the Walter Lipmann style which stood for fairness and balance in reporting and restraint in commenting. Woe betide him who resorted to lampooning, ranting or mudslinging and still somehow managing to get the piece printed in the paper. Dignity was the hallmark of the paper and every issue had to be argued out logically and elucidated for the benefit of the reader and also the authorities. This gave the paper credibility that became the strength of Dawn. What I found remarkable about Khan Sahib was his staunch sense of fair play which he did not allow to be swept aside by personal considerations. He was quick to admit any error of judgment if one had been committed and to even rectify it. A misreporting was always followed by a correction. A person who felt he had been wrongly accused of a wrongdoing was always given space to give his own version of the story. Above all, for AAK the newspaper constituted sacred ‘public space’ that was for the readers, never to be used to promote his own personal/family interest. Even in running the paper Khan Sahib adopted a democratic and participatory style. On his own part he was self-effacing and never tried to steal the limelight. All attention had to be focused on the newspaper. There was the occasion when some hooligans from an ethnic political party got provoked by an innocuous news item in the paper and came to his office to confront him. The ugly verbal fracas that developed edged very close to physical violence. Yet the next day’s paper breathed not a word about it. That was how he saw the division between the personal and the professional. Khan Sahib insisted that as journalists we should have two compartments in our mind – one for our own private opinions and beliefs on various issues, with another one reserved for Dawn’s official position on them. This held true chiefly for politics. True to his Leftist leanings, Khan Sahib showed unlimited concern for education of the masses, healthcare for all, fairness and employment for labour, rights of the child and empowerment of women. These issues had to be contained in one compartment that saw the world through the prism of social justice. Under him, Dawn, whose forte had been political analysis, came to excel in its reporting and analysis of social issues as well. I could not really fathom his relationship with technology. Once when I presented him with a tiny pocket calculator, he was fascinated. For quite some time he sat exploring it with almost child-like curiosity and interest as I sat waiting to discuss whatever I had gone to talk to him about. But the big computer that sat on the side table beside his desk never interested him and he didn’t bother to even touch it. Yet his most brilliant achievement can be said to be his success in navigating Dawn through the shoals of technology when we entered the digital age and computerisation became indispensible. The writer is a former Dawn staffer. The following are excerpts from an article carrying the same headline that appeared on January 24, 1988, as part of a Dawn Special Report marking 40 Years of Mass Media in Pakistan. THOUGH weaker than the Hindu Press in material resources and in terms of the professional and intellectual abilities of its journalists, the subcontinent’s Muslim Press in the 1920s, 1930s and 1940s was easily the former’s equal in the quality of its commitment to political and public causes. These causes, though, were not always identical. The relative backwardness of the Muslim Press was, however, compensated for by two factors – political idealism of the editors, also of the owners in some cases, and the publication of a very large number of small newspapers and periodicals serving groups of neighbouring cities. It may be mentioned in passing that taking out a declaration in the days of imperialism was no bother at all. There were no qualifications required. The District Magistrate did not have to ask the Governor-General or the Governor. It took less than a week to have a declaration authenticated in the normal course. No fresh declaration was needed if the printing press was changed. The imperialists recognised it as a citizen’s right to publish a newspaper at will. Most organs of the Muslim Press lived from hand to mouth. There was no industry as such in existence. The sponsor of a periodical could consider himself lucky if working alone as a motivated editor and his own accountant and circulation/advertising manager (with occasional help from friends) he managed to earn enough to keep body and soul together. Often a sponsor editor did not have the resources to pay a full-time manager. But many owners, unless journalism was their passion, chose professional journalists to edit their newspapers and periodicals. In many such cases, however, where an illustrious editor also happened to have a financial interest in his newspaper, the fact of the ownership was entirely incidental. Who cares today whether Saiyyid Ahmad Khan, Abul Kalam Azad, Mohammad Ali Jauhar, Zafar Ali Khan and Abdul Rahman Siddiqi had any financial interest respectively in Tahzibul Akhlaq, Al Hilal, Hamdard, Comrade, Zamindar and The Morning News (Calcutta). The Muslim-owned Press not only fought for the cause of Muslims of India. It also showed a deep involvement with the cause of the Muslims who were resisting the inroads of imperialism in Northern Africa and West Asia. Since Turkey was seen as almost the last bastion of Islamic political power, Indian Muslims became firmly attached to Turkey. The Muslim Press became an enthusiastic advocate of the Khilafat Movement. Involvement with the fate of the Islamic world is a trait which the post-independence Press inherited from the past. Truly can the Pakistan Press be said to have descended from the Muslim-owned Press of pre-1947 South Asia. These last four decades (1947-97) have brought changes – some good and some not so good. Idealism became less and less important in politics, and public life increasingly came to be characterised by a ruthless scramble for power, profit and privilege. It will be idle to pretend that this environment has not affected the Press. Over the years the Press has grown into a multi-million-rupee enterprise. Coming to the state of the profession, the change is no less noticeable here than in the domain of ownership. Basically, journalism is now thought of as a career opening like any other. It is thought there are no great political battles to be fought and no ‘glory’ to be won. Those new entrants who still consider the newspaper as a vital public institution involving social commitment must be in a minority. Today, the educated young men and women demand their market price. Also, the journalistic profession is now a fairly unionised one. Unfortunately, today the profession is no longer in a position to attract the best educated persons coming out of our universities. The rapid increase in the number of owner-editors is also bound to act as a major disincentive to prospective newcomers to the profession from among bright and ambitious young men. There have been quite a few occasions when newspapers have, on grounds of ideology or for personal, commercial or factional reasons, supported attacks on the freedom of their contemporaries or of journalists or even demanded that action be taken against such and such newspaper, or against journalist whose description easily identified them. It is an irony that newspapers with a proclivity towards witch-hunting within the profession have at some time or other themselves been overtaken by nemesis in the form of arbitrary governmental action. Politicians out of power have nearly always been protagonists of a free Press. They have promised the end of suffocation. Yet when elevated to power they have resiled from these commitments. As the Press slowly emerges from 30 years of generally ruthless regimentation and control, it is not in very good shape spiritually or professionally, even though it is immeasurably better off financially and in terms of technical resources. The media’s sense of improved material well-being is something to be thankful for. But it is as well to remember that the capacity of the Press as an agency of opinion formation and as a catalyst for transforming politics and society is very limited. The role of the Press is circumscribed not only by its narrow readership base, but by the enervation and its concomitant of routinism that has become its lot after years of persecution and self-censorship. An inhibiting factor of very great importance is the prevalence of a lot of bigotry and anti-intellectual tendencies which are inimical to rational argument. Sometimes one finds there is more tolerance for the raffish and yellow variety of journalism than for the sober kind, if it means the other side of the argument. WITH the assumption of the country’s administration by the Armed Forces and the promulgation of Martial Law, Pakistan has entered a new phase in its chequered political career. The perilous confrontation that began with the falsification of the popular verdict on March 7 is now behind us. After stumbling from deadlock to deadlock, the nation is now able to look forward to the future without trepidation. A tranquil mood already seems to have descended upon the country with the Chief Martial Law Administrator’s solemn undertaking that elections will be held in October next  followed by the transfer of power to the elected representatives of the people. The Armed Forces have stepped in only to provide the country with an interim administration. In his address to the nation, Gen. Mohammad Zia-ul-Haq made it “absolutely clear” that he had no political ambition and that he was obliged to step in to fill the vacuum created by politicians. His sole aim, he said, was to organise free and fair polls. That, essentially, is the heart of the matter and the only legitimate way of resolving the crisis. The crisis had already lingered too long. The movement launched by the Pakistan National Alliance was unprecedented in its reach and intensity, and the collision with Authority cost the country dearly in terms of human lives, property and economic well-being. Not only this. The unending confrontation brought about a national split and led to a loss of sense of direction. For a while, there seemed no way out of that crisis. 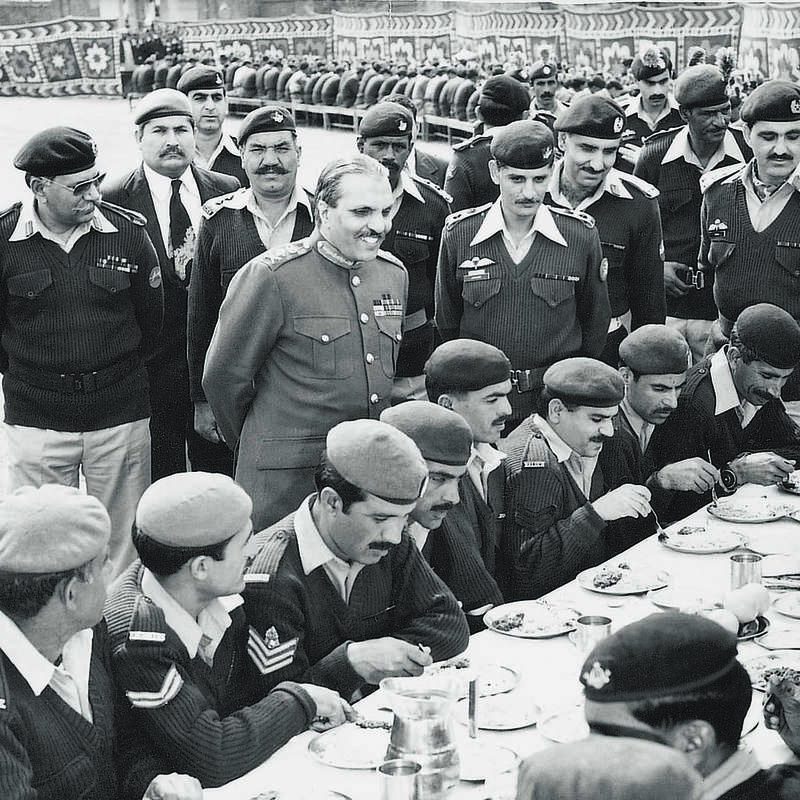 According to Gen. Zia, the Armed Forces resisted the temptation to take over and bought valuable time for the Government by maintaining law and order so that a political settlement could be reached. Political activity has been banned for the time being and this should contribute to the creation of a proper atmosphere for the political debate and disputation that will inevitably and rightly commence when political activity is revived before the elections. But if the forthcoming elections are correctly to mirror the state of feeling all over the country and provide the people with an opportunity to make their choice freely, it is necessary that those who have been kept out of the political arena by virtue of imprisonment or some other restriction should be set at liberty. The demand for fresh elections lay at the root of the crisis, and though they were divided by deep mistrust, Mr. Bhutto and the PNA had both agreed that fresh elections should be held in October. These elections will now be held under the auspices of the Armed Forces and in that sense the seemingly jarring interruption of Martial Law is the smoothest possible ride over an abyss that politicians were unable to bridge. We may cool our nerves and get ready to vote. General Mohammad Zia-ul-Haq, tonight [October 1] postponed the general elections “till a new announcement is made in this regard” and prohibited political activity in the country. Gen Zia-ul-Haq said the polls, earlier scheduled for October 18, had been postponed to “save the country from a dangerous crisis and to place full facts before the public through the process of accountability”. He said the political activity had been prohibited through a Martial Law Regulation issued by him to rid the country of “all physical and mental strains and to allow passions to cool down”. THE Supreme Court today [November 1] unanimously upheld the imposition of martial Law in the country on July 5, 1977, by the Chief of the Army Staff, terming it as a State necessity. In its judgment dismissing Begum [Nusrat] Bhutto’s petition challenging the detention under Martial Law of former Premier Z.A. 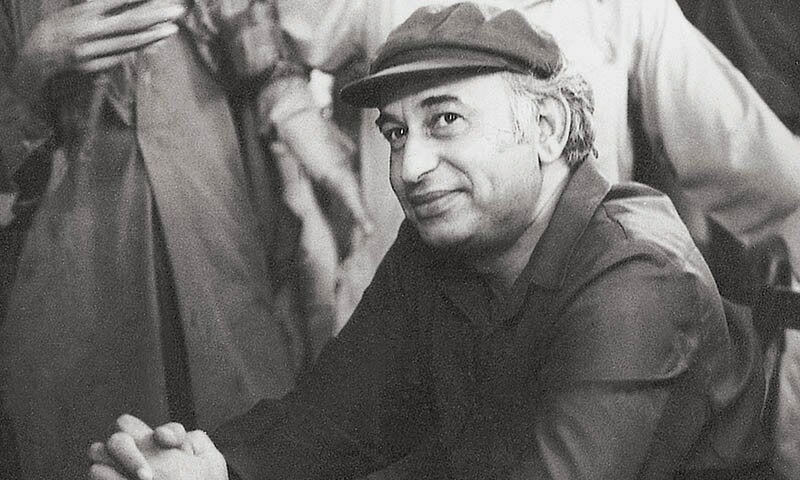 Bhutto and 10 other People’s Party leaders, the nine-member Court, headed by Chief Justice Anwarul Haq, observed that after massive rigging of elections followed by complete breakdown of law and order situation bringing the country on the brink of disaster, the imposition of Martial Law had become inevitable. FORMER Prime Minister Zulfikar Ali Bhutto was sentenced to death today [March 17] by a full Bench of the Lahore High Court for the murder of Nawab Mohammad Ahmad Khan, father of Mr Ahmad Raza Kasuri, ex-MNA, on Nov 11, 1974. Four other accused in the case – Mian Mohammad Abbas, Director Intelligence and Operation of the defunct Federal Security Force, Sufi Ghulam Mustafa, Inspector, Arshad Iqbal, Sub-Inspector, and Rana Iftikhar ASI, FSF, were also sentenced to death. THE Supreme Court today [February 6] dismissed the appeal of Mr. Zulfikar Ali Bhutto and upheld the convictions and sentences recorded by the Lahore High Court in the Nawab Mohammad Ahmad Khan murder case by a majority of four judges against three. The judgement was announced by the country’s chief justice, Mr Justice Anwarul Haq, in a packed-to-capacity court room with the other six judges sitting beside him. The appeal of Mian Mohammad Abbas was also accorded the same treatment. However, all Judges were unanimous in dismissing the appeals of Ghulam Mustafa, Arshad Iqbal and Rana Iftikhar Ahmed, and upholding the convictions and sentences recorded by the High Court against them. BY taking a major step towards Islamisation of the Pakistani society, President Zia-ul-Haq has not only kept the promise he had made to the nation but also responded to popular aspirations for a new social order based on the principles of Islam. Needless to say, this popular yearning formed the initial impulse for the Muslims of the subcontinent in their desire to create a separate homeland. The present drive towards Islamisation has to be appreciated in the perspective of our historical experience and the present state of our society. The recent years have borne ample testimony to the impairment of strength suffered by our vital institutions in social, economic and political spheres. Against this background of gloom, the hope of advancing towards a clean and just society proceeding from the Islamic inspiration is our guiding light. 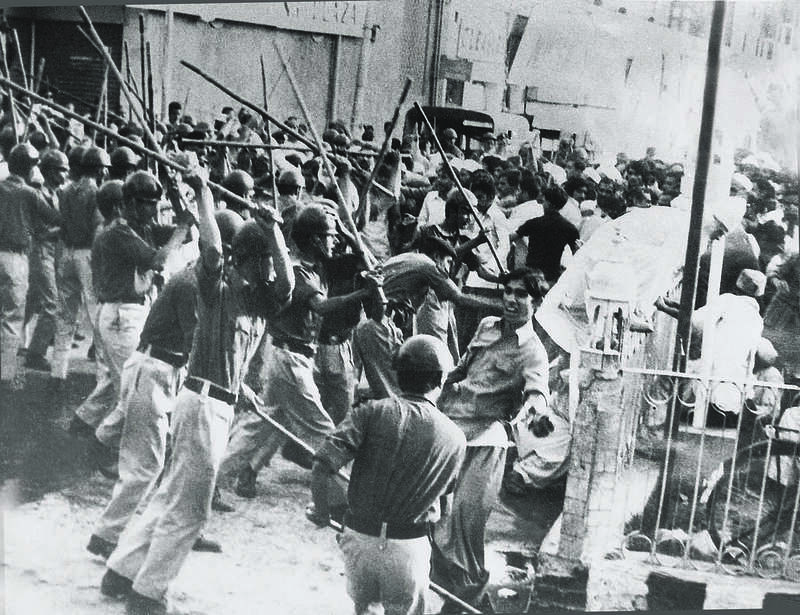 Soon after it took over, the present Martial Law regime made its unequivocal commitment to enforce Islamic measures. Though it was also confronted with grave economic and political problems, its attention towards this vital aspect remained unwavering. Two aspects of the President’s announcement stand out prominently: the scheme for the introduction of Zakat and Ushr later this year and the immediate enforcement of penal laws for the four offences which are subject to Hudood, that is, intoxication, theft, Zina and Qazf (imputation of Zina). These two moves, of course, should be viewed in relation to other measures taken for the enforcement of Nizam-i-Islam. By embarking on the road to Islamisation, we have accepted a great challenge. May God Almighty grant us courage, wisdom and strength to remain steadfast in our covenant with Him. MR Zulfikar Ali Bhutto was hanged to death at 2’O clock this morning [April 4] in the Rawalpindi District Jail. An official handout released nine hours later in the day said his “dead body was flown in a special aircraft from Rawalpindi and handed over to the elders of his family who buried him after Namaz-i-Janaza in the ancestral graveyard at Garhi Khuda Bakhsh near Naudero, Larkana, at 10.30am in accordance with the wishes of the family”. The funeral was attended by relatives, friends and residents of the area. Begum Nusrat Bhutto and their daughter Miss Benazir, who are detained at Sihala, about 16 miles from Rawalpindi, had been informed that all the mercy petitions had been rejected. They had a three-hour meeting with him yesterday in jail. 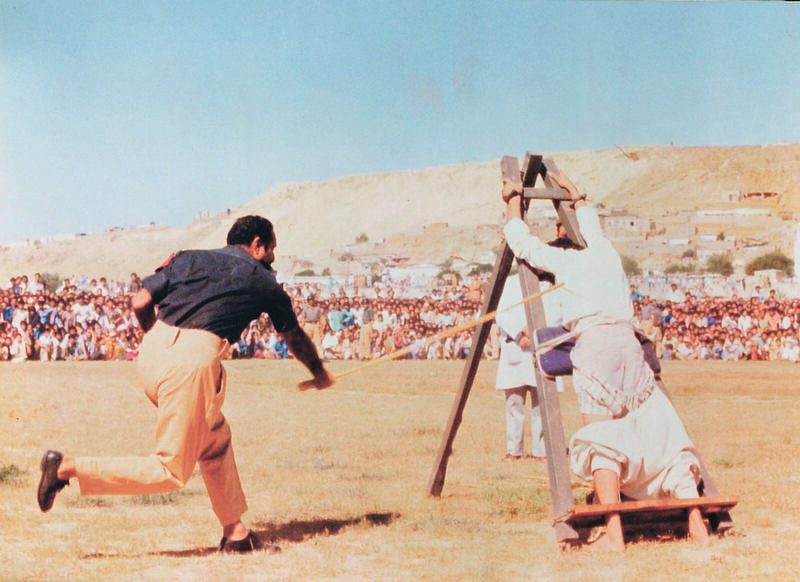 According to one of the officials, who was present at the hanging, Mr Bhutto was approached in his cell about an hour before the execution and told to prepare for the final act. He was told to have a bath if he wished. He replied in the negative and said that he had already had bath during the day. However, he wanted to shave his face. Permission was granted and he shaved his face by himself. The Deputy Superintendent stayed on to see his two hands tied together at his back. He was then told that his cell was about a furlong and half from the gallows, a distance which may be difficult for him to walk, and he should, therefore, lie down in a waiting stretcher to be carried by the jail warders. He protested and said that he would like to walk the distance himself. But he was made to lie down on the stretcher. 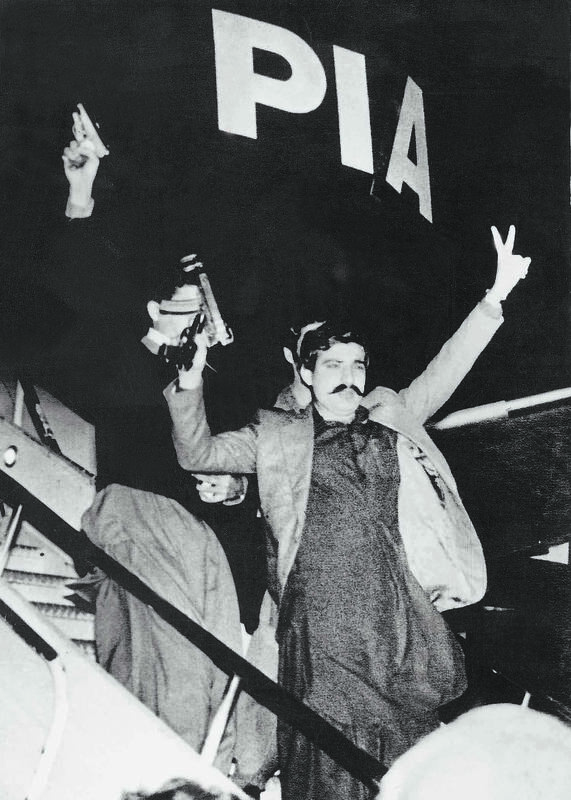 Mr Bhutto was unloaded from the stretcher and he climbed up the stairs himself. Earlier in the evening he was contacted by a jail official with a query if he wanted to make a will. He said that he would like to write it down. Writing material was supplied to him and he busied himself in writing. But later before the hanging when a Magistrate came and asked him to hand over his will so that it could be countersigned by the Magistrate, Mr Bhutto said he had no will in writing and that he had already conveyed his wish to his wife. He was completely calm and quiet thereafter. He did not misbehave or talked loudly till the end. Mr Bhutto was handed over to the hangman who tied his legs with a cord, placed the traditional veil on his face and fixed the hanging cord round his neck. His body remained hanging for half an hour. Before it was removed the Medical Officer checked it and certified that it was lifeless. TIME alone can provide the necessary detachment for an objective assessment of the life, achievements and failures of the former Prime Minister, Mr. Zulfikar Ali Bhutto. No one – not even the most impenitent of his political foes – could have wished Mr. Bhutto to have ended as tragically as he did. The judicial verdict notwithstanding, concern over the fate of man of Mr. Bhutto’s political stature and importance was only to be expected. It is possible to have more than one opinion on Mr. Bhutto. The key to a proper understanding of this highly gifted and dynamic political figure perhaps lies in his feudal background which was often at odds with his modern vision and outlook, his populist brand of politics, and his penchant for change and modernisation. Some of his outstanding qualities as a leader – his brilliance, his capacity to sway the masses and his enormous capacity for work – must be weighed against some of his glaring weaknesses – his despotic manner, and, most of all, his total intolerance of any dissent. He set out to bring about fundamental and far-reaching socio-economic change – without a coherent philosophy or a proper scheme of priorities and without having the necessary cadre or any defined concept of social control. 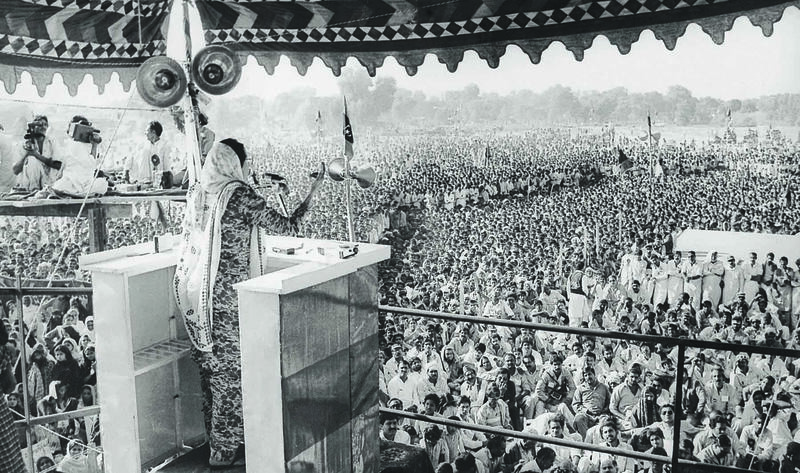 Perhaps the most tragic of Mr. Bhutto’s failure – and in a way the country’s – was the historic opportunity he missed for giving Pakistan a viable and well-adjusted democratic system which was, and still remains, the country’s foremost need. It was perhaps in the area of external relations that the former Prime Minister was at his best. He was eminently qualified for the job. He generally pursued a correct policy, except that his drive for a leadership role in the Third World was overambitious, with its target greatly transcending the limitations of the country’s political, economic and diplomatic potential. The fact needs to be acknowledged that there was a positive aspect to the populism that he preached. He promised too many things to too many people and could not deliver the goods. But the fact that as head of government he confirmed the people in the correctness and legitimacy of their aspirations for a better life gave the ordinary people a sense of power and dignity they did not possess before. Many people, rightly or wrongly, thought it to be a gift from him and were willing to cherish a post-dated cheque that they knew could not be encashed in the immediate future. How history will judge him is difficult to visualise. But when it does, it will be possible to have a complete picture of the man, who dominated Pakistan’s political scene for long years and who, with all his drawbacks and failures, remained a towering figure till the end of his life. PROFESSOR Abdus Salam of Pakistan and two Americans won the 1979 Nobel Physics Prize today [October 15] for work in a field which baffled Albert Einstein, the search for one common force which he suspected binds together the entire universe. Salam told PTV from London that he was very proud to be the first Muslim who has been awarded the Nobel Prize. The 53-year-old Professor said that he is the first scientist to receive this honour in the developing countries over the last 15 years. Expressing his pride for Pakistan, the recipient said he hopes to spend the proceeds from the prize on the educational uplift of the people of Pakistan, specially his home town district Jhang. A PIA Boeing 720 aircraft has been hijacked while on its way from Karachi to Peshawar and forced to land at Kabul Airport. A PIA spokesman says PK-326 which left Karachi at 2.45pm today [March 2], was due to arrive at Peshawar at 4.25pm. It has 148 passengers and crew aboard. The spokesman said that earlier when the plane was in the vicinity of Mianwali at 4pm, the pilot sought permission to descend which was granted. Soon after, however, the pilot was heard saying that a man had entered the cockpit and was demanding to fly the plane to Kabul. The plane was later observed changing its direction and seen crossing into the Afghan air space. The plane landed at the Kabul Airport at 4.57pm. The spokesman said Aviation authorities established contact with the Kabul authorities who confirmed that the crew and passengers are safe. The PIA spokesman said a PIA official has also talked on wireless to the hijacker who calls himself Alamgir, belonging to the defunct PPP. The spokesman further said that in the manifest there is no person by the name of Alamgir supposed to be travelling by the plane. He said either he is using a fake name now or he did not disclose his identity at the time of booking. THE end of the drama which began on March 2 with the hijacking of a PIA airliner to Kabul and ended with the release of the remaining hostages, numbering over a hundred, will be universally greeted with a sense of relief. All the elements of tension, excitement, human tragedy and courage were present throughout as the grisly events unfolded themselves. In the context of the ramifications of the plot behind the hijacking, the point cannot be stressed too much that the plot’s success owed itself to the total failure of security at the Karachi airport. There can be no reservation whatsoever in condemning the latest act of terrorism. The use of violence against innocent people cannot be condoned under any circumstances. It is to be deprecated first on grounds of humanity and justice, since it amounts to a use of force against defenseless people who have nothing to do with the real or imaginary grievances of the terrorists and who are in no position to satisfy the demands of their captors. Terrorism as a means to a political end is impermissible morally, besides being counterproductive as a political strategy. The statesmanship and cooperative spirit displayed by Syria is to be highly commended. Incidentally, the episode has also served to demonstrate how events having their origin in the internal situation of a country can spill over into the domain of international diplomacy. The Pakistan Government today [March 16] released a list of 27 of the 54 political prisoners swapped for the hostages of the Pakistan jetliner at Damascus airport on March 15, which indicated that most of those released belonged to the defunct Pakistan People’s Party. It is expected that the list of the remaining 27 prisoners will be the issued by the Government tomorrow [March 18]. THE Chief Martial Law Administrator tonight [March 24] promulgated the Provisional Constitution Order 1981 which comes into force with immediate effect. The Order provides for the appointment of one or more Vice-Presidents to be appointed by the CMLA. It also provides for the appointment of a Federal Council (Majlis-i-Shoora) consisting of such persons as the President may determine. The Order says when political activity is permitted by the President only such of the defunct political parties shall be entitled to function as were registered with the Election Commissioner on Sept 13, 1979. All parties other than those referred to in this clause shall stand dissolved and all their properties shall be forfeited to the Federal Government. The order further provides that a person holding office immediately before the commencement of this Order as Chief Justice of Pakistan or other Judge of the Supreme Court, or Chief Justice or other judge of the High Court, or Chairman or Member of the Federal Shariat Court shall not continue to hold that office if he is not given or does not take oath in the form set out before the expiration of such time from such commitment as President may determine or within such time as may be allowed by the President. It says that a Judge of the Supreme Court and the Chairman and a Member of the Federal Shariat Court shall take the oath before the President or a person nominated, and a Judge of a high Court shall take the oath before the Governor or a person nominated by him. ABOUT 150 women were today [February 12] subjected to lathicharge and teargassing by the police as they tried to take out a procession from Hall Road to the Lahore High Court to register their resentment against the proposed changes in the Evidence Act. The police rounded up 31 women and took them to the Civil Lines police station but released them after about three hours. Those arrested included Miss Hina Jilani, Aasima Jilani, Bushra Eitzaz Ahsan, Begum Umar Asghar Khan, Mehnaz Rati, Madiha Gauhar and Miss Saleha Minto. The women, who had announced to take out a peaceful procession to the High Court where they proposed to present their memorandum on the Evidence Act to the Chief Justice, started gathering on Hall Road at about 10am. At half-past 10 they tried to march in files of two carrying placards. The lady police, however, did not allow them to do so. In the meantime, noted poet Habib Jalib appeared on the scene and recited his poems. After some time the women processionists broke open the police cordon and came up to The Mall where they staged a sit-down. The male police force, which also tried to stop them, resorted to lathicharge and teargassing. Mr Habib Jalib was also severely beaten up while the Secretary of Lahore High Court Bar, Mr Wasi Zafar, was arrested but later released. Soon after the teargassing and the arrests, the processionists dispersed while about 30 women succeeded in entering the High Court premises. THE MRD began its movement on Aug 14 at the Quaid-i-Azam’s Mazar with a pledge to continue its struggle for the revival of democracy, restitution of the rule of law and restoration of the 1973 Constitution without any amendments. The MRD leaders made this pledge before a sizeable audience that had gathered to pay homage to the Father of the Nation on the Independence Day. The Quaid’s Mazar, for several hours remained the scene of intense political activity. Various political groups led by their respective leaders came in strength raising divergent slogans. The Zia Himayat Tehrik showed up in force waving flags and shouting “Pakistan Ka Matlab Kia, La Illaha Ill-ul-Lah”. Its leader, Mr. Yusuf Qureshi, spoke briefly, supporting the Government in its efforts for Islamisation of society. The MRD workers came in two groups – one led by the MRD acting convener, Mr. Abid Zuberi, and comprising Prof. N.D. Khan, Qari Sher Afzal and Mr. Alamdar Haider, and the other led by Mr. Ghulam Mustafa Jatoi, Khwaja Khairuddin, Mr. Mairaj Mohammad Khan, Mr. Fatehyab Ali Khan and Mr. Iqbal Haider. They were joined later by Mr. Musheer Ahmad Peshimam and Mrs Shahida Jameel. Maualan Ehtramul Haq Thanvi, who came last of all, also spoke on the occasion. FOREIGN Minister Sahabzada Yaqoob Khan has expressed concern over the recent clashes between Indian and Pakistani troops along the border in the disputed territory of Jammu and Kashmir. He told correspondents that the clashes had occurred some 120 miles from the Karakoram Highway at the point of Siasar [Siachen] Glacier, reported a BBC broadcast quoting Mark Tully’s dispatch from Pakistan. Sahabzada Yaqub gave no details of the incident but unconfirmed reports said that a number of Indian and Pakistani soldiers were killed and wounded during the clashes. Both sides have alleged concentration of troops along with borders leading to a mounting of tension in the area. FAIZ has passed into history. Even in his lifetime he had risen to a height where words neither of praise nor of calumny could touch him. No superlatives are adequate to give a full measure of his personality. On Iqbal’s death he had written an elegy (as Iqbal had written one for Ghalib): ‘Aya hamaray des mein ik khush-nawa faqir, aya aur apni dhun mein ghazal-khwan guzar gaya’. Until another Faiz arrives to lift the sinking hearts of the Pakistani people, the lines Faiz wrote about Iqbal will serve as his epitaph as well. Like Iqbal, Faiz was not just a poet but a man of many noble traits. As he himself said in one of his most touching poems, Faiz had two loves – beauty and his motherland. He remained faithful to both – as a poet, as a journalist, as a campaigner for world peace, as a trade unionist and as an ambassador of love among all human beings. But more than an internationally acclaimed writer and poet, Faiz was the symbol of the best culture the soil of Pakistan has thrown up – one who answered to Ghalib’s definition of ‘Deeda-i-beena’. Millions of people throughout the world recognized in him a man of boundless love for the poor, an artist who could chisel their dreams into recognizable shapes, and a visionary who kept their hopes of a better day alive. Men who move the hearts of human beings never die. Faiz, the great son of Pakistan, will live forever. THE outstanding facts about the December 19 referendum are that the process was peaceful and that within the given scope of possibilities, a verdict has emerged on the composite proposition that was put before the people. Without going into an anatomical analysis and appraisal of the detailed aspects of the December 19 exercise, it must be accepted, however, that the crucial first step towards the promised restoration of representative rule in the country has been taken. Last week’s referendum, besides seeking the people’s authorisation on certain vital questions, was meant to be a prelude to that end. Having this as a long-delayed watershed, the national focus must now shift to the next phase of the promised transition — elections to the federal and provincial assemblies and the Senate which are to be completed by March 23 next. With presidential continuity now assured, the Government is now normally bound to address itself in all seriousness to its commitment to begin re-democratisation. Among the first things to be settled in this context is the long-deferred question of whether the forthcoming elections are to be held on party or a non-party basis. THE joint session of the newly elected National Assembly and Senate was something of a landmark, in the sense that it marked the formal inauguration of an elected government. Though Martial Law, which has held the field for a little less than eight years now, will continue to operate for some time more, a change has come about with the induction of an elected civilian set-up. As President Zia said in his inauguration speech, Martial Law will remain in force, presumably as a protective cover, until the new Government has settled down and established its ‘grip on the national affairs’. Prime Minister Junejo enters upon the responsibilities of his office at a crucial time. But armed with the kind of parliamentary go-ahead he has received, he should be able, first, to form a Cabinet capable of eliciting wide support within the House and, secondly, to strive to win credibility in the country. This, indeed, cannot be taken for granted. There are major constitutional, political and administrative matters that claim the attention of his Government in the immediate context. For his part, the Prime Minister has expressed himself as favouring the revival of the now-defunct political parties. THE third and by far the most tenacious Martial Law in the nation’s history has at long last come to an end and in a manner calculated to confound much of the cynicism that had come to surround its lifting. 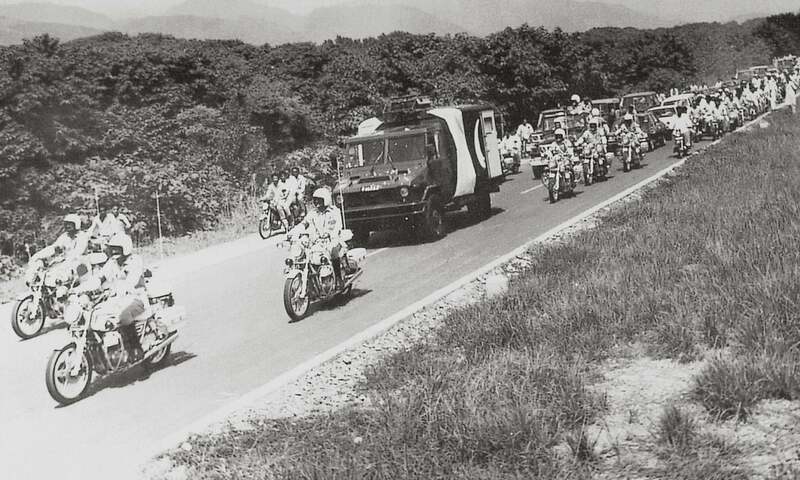 For months on end speculation was rife that the lifting of Martial Law would change nothing in reality. In the light of the decisions announced, these doubts begin to look out of place. There are, of course, plenty of safeguards in the new democratic order. But this should hardly be surprising considering the fact that the military initiated the process of disengagement of its own volition and in the light of its own assessment of the situation — and not under pressure from a popular agitation. How Parliament and the Government, on the one hand, and the forces of the Opposition, on the other, acquit themselves in the phase that now opens is going to be crucial. Decisions regarding the revival of political parties will have a vital bearing on the course of future political developments. President Zia who threw broad hints in his speech about the virtues of a partyless system, went so far as to suggest that the troubles of the past were largely traceable to the existence of political parties. But this is a selective interpretation of history. The crises and twists and turns that have marked our national life have occurred not because of too much democracy but because of too little. The decision to lift Martial Law does not determine the outcome of the struggle to establish democracy on a firm footing. But it is a worthy beginning which it is for Parliament to take to its logical conclusion. THE Mohajir Qaumi Movement, led by its founder, Mr Altaf Husain, staged a mass rally at Nishtar Park to reaffirm its commitment towards recognition of Mohajirs as a fifth nationality in the country. At its first-ever big public display since its inception about a decade ago, the MQM demanded that the socio-political and economic rights of the Mohajirs be given a constitutional cover. Non-Mohajirs and non-Sindhis living in the province should not be considered as a part of the population of Sind, a resolution demanded. Yet another resolution called for the appointment of Mohajir as Governor of Sind since the Chief Minister, it pointed out, was a Sindhi. In addition, the present I.G. of Police be replaced by a Mohajir or a Sindhi, it said. The gathering could be compared to any big public meeting held previously at Nishtar Park by the MRD and other political parties. Mohajirs, who came in big and small groups from interior of Sind and from various parts of Karachi, marched in an orderly fashion to the venue. The big crowd, though frequently displaying exuberance, remained disciplined. Even when it started raining, the people did not move, and listened to the speech of their leader, Mr Altaf Husain, who was himself rain-soaked. KARACHI has suddenly suffered the most devastating blow in the crescendo of bomb blasts which had initially been restricted to the North West Frontier Province. That stakes in this diabolical game of terrorism were rising was evident from the blasts which occurred earlier this year in Lahore and Rawalpindi. But what happened in Karachi on Tuesday [July 14] is not just an extension in the area of terrorists’ operation. It also indicates a qualitative change in the aims and intensity of such attack. The blasts were obviously meant to kill a large number of people and create commotion. The toll of about 70 killed and more than 200 hurt is simply horrendous. Even by Beirut’s standards, it was a major attack and testifies to the reach and resources of saboteurs now operating in Pakistan. There is no clear indication of who the saboteurs are and what their designs are. What they have done in Karachi amounts to planned mass murder. And they chose their victims and the scene of carnage with the cynicism of compulsive killers. It is obvious that the intention was to create the maximum scare and insecurity through one dastardly attack. Karachi has understandably been stunned and stupefied. Ms. Benazir Bhutto, Co-chairman, PPP, was married to Mr. Asif Ali Zardari, son of Mr. Hakim Ali Zardari, Vice-President, ANP, on Friday [December 18]. Over 2,000 guests responded to the invitation for reception hosted by Begum Nusrat Bhutto soon after the ‘Nikah’ ceremony. Multitudes of PPP workers and supporters gathered at the Kakri Ground to round off the day’s celebrations till past midnight, to give an ‘Awami’ touch with joyous abandon in a display of fanfare and fireworks. 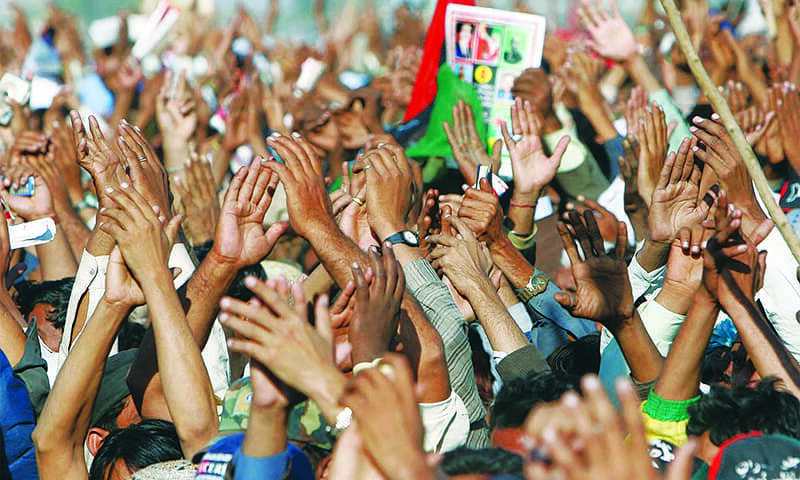 Having won a decisive victory in the local polls, the Mohajir Qaumi Movement chose to greet the election with a populist demonstration of its strength. To some extent, the occasion coincided with the demonstrations occasioned by the release of the MQM leader, Mr. Altaf Hussain, and other party activists from jail on Thursday night [January 7]. That all this touched off some localised disorders points towards Karachi’s alarming potential for violence. Karachi’s civic management in the given circumstances is an awesome challenge, and the citizens’ attention is now claimed by a 28-year-old medical graduate, Dr. Mohammad Farooq Sattar. That he enjoys considerable grassroots support can be both an asset and a liability. That the new Mayor is so young, inexperienced and untrained may not necessarily be a disadvantage. Indeed, youth is the motive force of the MQM’s thrust and is reflected in the composition of the KMC and four ZMCs. If they are willing to learn, their idealism and energy should stand them in good stead. They do need humility and a willingness to learn and serve. SUNDAY’S [April 10] explosion in an ammunition dump in the vicinity of Rawalpindi and Islamabad has shattered us beyond belief or description – such is the grimness and magnitude of the tragedy. The entire nation has understandably been staggered by this catastrophic explosion which sent rockets and missiles flying into various areas of Rawalpindi and Islamabad. It amounted to a chain of bomb blasts, many of them simultaneous, and devastating in their total effect, and it is mindboggling to think that all this could have been triggered by one single explosion or a flicker of flame at a specific place. At least in a psychic sense, it has exposed us to all kinds of unforeseen and accidental possibilities. We had never before felt so vulnerable and helpless as now. As the initial sense of horror and disbelief subsides, the mind is naturally assailed by many questions. Some of the obvious ones are: How did it happen at all? Why was the ammunition dump located in the midst of a populated area? How big was it? The Prime Minister was understandably prompt in ordering a high-level inquiry into the incident. It is to be headed by the Commander of the Tenth Corps. But any inquiry and its findings will have first and foremost to reckon with the credibility factor. We have known the fate of many such exercises in the past. The relevant authorities must be required to explain why the ammunition dump was allowed to be located in a populated area and that too so close to sensitive installations in the capital. Also intriguing is the apparent lapse in the safety precautions. If this was not an act of sabotage, what kind of departures were made then from the normal procedures to make Sunday’s catastrophic explosion possible? After all, the armed forces have to deal with ammunition as a matter of routine. Accidents because of human error are possible but this was obviously a lapse of gigantic proportions. PRESIDENT Zia-ul-Haq’s action in dissolving the National Assembly and dismissing the Government of Prime Minister Mohammad Khan Junejo has come as a total surprise. Significantly, the President has exercised powers that had been assigned to him by the now dissolved Assembly through the Eighth Amendment. The Presidential Order affirms the President’s opinion that “a situation has arisen in which the Government of the Federation cannot be carried on in accordance with the provisions of the Constitution and an appeal to the electorate is necessary”. THE promulgation of an Ordinance making Shariah the supreme law of the land marks one more step in the direction of Islamisation after what President Zia-ul-Haq called “a painful interruption of more than three years.” The Ordinance makes the Islamic law, as the President put it, “the key factor in all policies of the Government, which will now be under obligation to seek guidance from the Shariah.” For that reason, the President called it “a revolutionary step” because the Ordinance will enable the superior courts to strike down any law if it is repugnant to the Shariah. What is more, every High Court has been empowered to take cognisance suo moto of all financial laws which had so far been kept out of the purview of the Federal Shariat Court. HAVING presided over the destiny of Pakistan for over 11 years, across violent upheavals in the region and political triumphs and trauma at home, General Zia-ul-Haq has died in a plane crash near Bahawalpur. Nobody else has ruled Pakistan for as long and with such tenacity, earning sympathy and praise from some quarters and evoking antipathy and skepticism in others. With him in the ill-fated C-130 were quite a few army officers, some belonging to the top brass, and the American Ambassador to Pakistan, Mr. Arnold Raphel. This bolt from the blue has left the nation in a state of shock and disbelief. 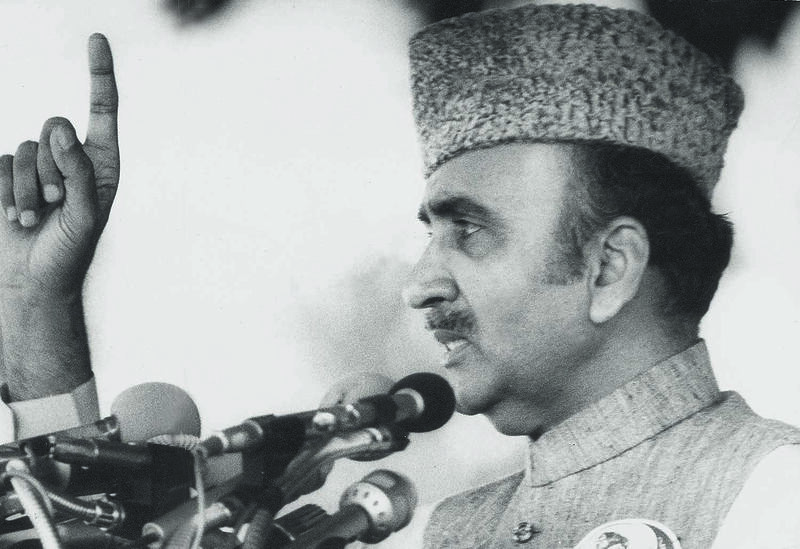 The dominant thought at present pertains to the sudden removal from the scene of President Zia who had come to be identified with a complex of policies and attitudes and had evolved his own style of leadership, involving an uncommon mix of the khaki and the mufti, to steer the nation through some of the most stormy stretches in its 41 years of existence. In his case the style assumed an importance all its own. A humble, unassuming and warm-hearted person, he put everyone he met at ease. The simplicity of his manner, indeed, contrasted sharply with the lofty bearing of some other ex-rulers of the country who were cast in the feudal mould. A devout Muslim, his passion for introducing Islam remained a constant feature of his rule. A mere novice in matters political and diplomatic in 1977, he was very quick on the uptake and came to demonstrate astounding insights into the mystifying arts of politics and diplomacy. He showed the capacity to create facts and take initiatives, sometimes controversial ones. His shadow will continue to fall on our polity for quite some time. Indeed, Pakistan will find itself living with the political legacy left behind by him for many years to come. 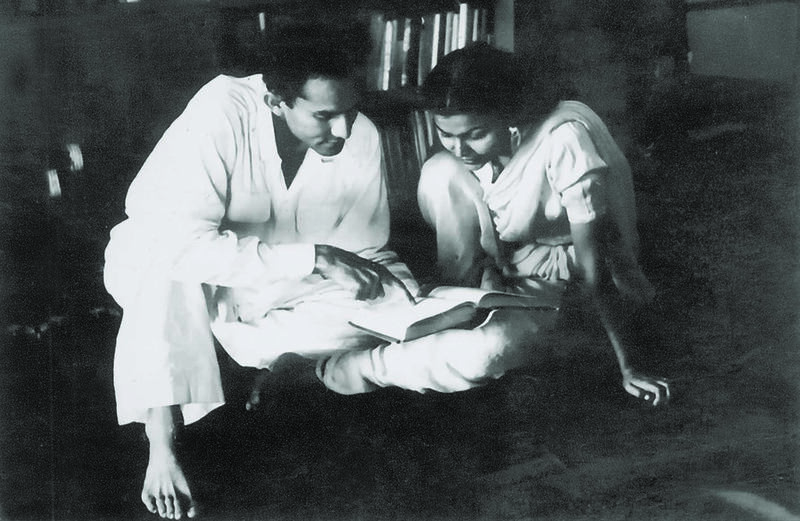 Iqbal Bano and Zehra Nigah render Faiz Ahmed Faiz's poems; Ahmed Faraz recites "Mahasara"
Reading: Zulfikar Ali Bhutto from his autobiography, ‘If I am assassinated"
I am an avid reader of Jinnah's paper. I have never felt the need to "comment". I will leave it to the trolls. I am compelled to do today. Whilst debate is important. We must not try to rewrite history. We must not talk / write out of context. Progress lack of education has resulted in dumbing down of society. Both Zia and Musharraf were forced to deal with potentially existential threats to Pakistan. The series of inept civilian governments and the larger geopolitical events (Russian invasion / 9 11) had resulted in prolongation of military administrations. Unfortunately the heavily bradree / faction based society cannot deal with "democracy".This society needs strong single minded figures. Inevitably these come from army (or at least backed by army). The immature selfish politicians are equally to blame for the intervention of army in Pakistan's politics. @Punjabi Gujjar As much as I abhor autocratic rulers, I can't disagree much with your comments. These two jumped in at the time when it was necessary. The ineptness of the civilian rulers paved way for them. The bad aspect was that they glued to their seats for a very long time, but in my view it was another necessity. I 'm sensing that most of the comments comes from establishment/army recruits. Zia and Musharraff ruined Pakistan to the core. The scourge of extremism in Pakistan is the gift from Zia who took Pakistan into the dark ages for his own ulterior motives. He was inept and highly incompetent ruler who did not deserve to be in power. "DARKNESS" and "ZIA" ; a contradiction in terms. Khirad ka naam junoon pur gaya, junoon ka khirad, Jo chaahay aapka husn-ay karishma saz karay. I grew up during those dark times. Zia should be punished for treason, and destroying the fabric of civility of Islamic Republic of Pakistan. Yes, he can be given posthumous punishment to bottle up his evil spirit from the mindset of many of my fellow countrymen and women. I am 40 years old now. I tell you with an honest heart. General Zia’s time was the best time I remember in my whole life. Peace and content among the poor. I wish we could have those times back. @Punjabi Gujjar During the same periods other countries did not feel the need to give control to their militaries. India did very well without letting its Army Chief take over. So did Bangladesh and Sri Lanka and even Afghanistan itself. Its not only religiius leaders used Islam name for personal gaines!! Such a double face personality..
Nations opt the law themselves you cannot do it forcefully, that's what Zia did and still we are dealing with his produced demons. Z.A. Bhutto was not an inept person, he was neither corrupt nor inefficient, he was gift by nature to the whole Muslim world. But unfortunately he has been exterminated by military establishment of Pakistan through concocted case and in return we have had Zia like despot who introduced, extremism and militant Islam in Pakistan. Like Bhutto at present another civilian leader also face wrath of establishment and another concocted case is prepared against him just to oust him from political scene. Our neighbor India, Bangladesh and other south Asian countries got political and economic stability but we are repeating the same dirty game since establishment of the country and as a result our stature is going down at international level. Zia was very right and a good ruler so far. He was not as bad he is being portray by this secular class. A totally biased article. Zia was bad because he came in to power by his stern action & removed the corruption tycoons. A huge try to re-write the history of Zia from the eyes of western lords. Fear from the day when you will not able to write any article and truth will be in front of you. It is a fact that a fruit full tree is always stoned as like Zia. Allah says: (Interpreted meaning is) Don't abuse your rulers but your self because when you are good, rulers will be good and vice versa. Only negative aspects mentioned during his regime. Pakistan also took advantage of situation in developing its nuclear assets as USA closed her eyes just to defeat USSR with the help of Pakistan. Now nuclear assets are proud of Pakistan. We only remember bad things and forget good things. To me ,Political environments prevalent in 1977 paved the way for Zia’s take over otherwise there could have been uncontrollable chaos.Soviet Union invasion of Afghanistan helped him in perpetuating his rule. Internally,Zahoor Elahi,Shujat Hussain,Nawaz Sharif, Khawaja Safdar,Khaqan Abbasi and Raja Zafar ul Haq,JI and JUI leaders were main collaborators. Junejo an ordinary soul, but what a great PM he was,he was a ray of light / hope in darkness. Now let’s judge Zia on his legacy : Shariat ordinance enforced in June 1988 failed, internal mishandling of Afghan issue created extremism and terrorism in Pakistan, negative political / economic fall out of rise of Altaf Hussain / MQM and Nawaz Sharif is well known.Pakistan landed in a quagmire of well known monstrous issues.Earth shaking tremors are still being felt. Indeed the darkness descended.But Pakistan is now again out to correct the path. The story has been spiced in the most journalistic way as possible. I abhor military rule but what have civilians done to this country. Have they ever provided a leader whose character and morals are beyond question like Quaid e Azam. It is our fault, lets blame civilians ourself for not being able to control the military and guide the country with a vision. Stop blaming Zias and Musharrafs as Zardari and Nawaz Sharifs are representations of civilians as well. RIP, Dictator Zia, the destiny's child of darkness. The Zia Regime would always be regarded as Dark Ages of our chequered history. The basic essence of creation of Pakistan seems to be lost during and after Zia. He was hypocrite and liar. These traits are imbibed in our political and social culture. Zia is responsible for it and history will never forgive him. Gen Zia was a good honest leader. True Sharia implementation law would have brought discipline and peace in Pakistanis. I like Pakistan beautiful country. Silent Majority of Bangladeshis love Pakistan. @Punjabi Gujjar It was not any civilian ruler´s ineptitude but the military generals´ lust for power that resulted in Pakistan being in the sorry state it is. There are no two opinions on that except for some who anonymously yet deliberately try to obfuscate the issue and facts. @Punjabi Gujjar Zia did more damage to Pakistan than every other leader we have ever had combined. As a child i still remember one of Zia speech in which he called upon the people to vote and make him president for another five years term if they believed in Islam. This is how poor and illiterate people of this country has been manipulated by the power hungry repressive dictators. Zia promised that he will enforced shariah in the country but instead he left behind extremism, terrorism, sectarianism, ethnic violence intolerance, corruption, nepotism, Kalashnikov and heroin culture and clans of corrupt and opportunist to the core electables and pseudo intellectuals as his legacy to plague the country for generations. The challenge before the nation is to break the shackles and undo the "Ziaism" and revert to Quaid's Pakistan if we were interested in making Pakistan a normal country. @JamShed Khan "I 'm sensing ... Zia and Musharraff ruined Pakistan to the core." Mirza and Ayub Khan started the downslide -- that was when the "camel" put its nose into the proverbial "tent." Zia and Musharraff carried on with the traditions set by Ayub and Yahya Khan. All of them made a mockery of democracy, and served to ruin Pakistan's polity in one way or another, notwithstanding whatever contributions might have been on the economic and law and order fronts. Today there is no space left in the "tent" for the aam aadmi. They say grass doesn't grow in the shade of a big tree -- very likely, if the "damned" civilians had been allowed the space to govern, to make mistakes for which they'd be punished by the electorate when they went back to the voters in regular and free and fair polls, civil society and democratic institutions might have taken root more thoroughly and Pakistan may have become a thriving democracy by now. @Fakhar Can you please count the development done during military rule of Zia nd Musharaf and civilian rules.Result will speak itself. Zia is the root cause for modern Pakistan's existential threat. Zia has done the biggest harm to Pakistani nation. @Punjabi Gujjar Agree 100%. Its been 30 years since General Zia died. Articles like this are going to mislead the youngsters who never witnessed Zia's rule in person. What has the political leadership given Pakistan. For every one step forward during Military Rule, we have taken 10 steps backward during political rule - particularly the rule of People's party. The real darkness has descended on Sind ever since PPP started ruling. May be that is what we need to talk about. Please do not mislead the youth. Read your article with interest. I really ponder a lot on how a democratically elected civilian govermenment would have tackled the prevailing Afghan situation at that time, had it not been a dictators Goverment in place. Any thoughts? I think the most critical and difficult times created by Gen.Zia between Pakistan and Afghanistan otherwise Bhutto had plan to create good relationship with Afghanistan. @Khalid Khan you don't have to evaluate someone by comparing him to those who came after. How about comparing him to Ayub Khan's tenure? The darkness he spread still prevails in all forms and seed he sowed has grown up to its strength. So there is little hope to get out of his net. He was a great leader and has shown the Islamic way of living to Pakistan. Proud of him. @JamShed Khan Army is not needed to comment on their Ex-Chief, we are alive to defend him. I remember Gen ZIa rule was most peaceful prosperous with 6% GDP growth on average. Take china as a recent example they have made miracle in human progress and if they stuck themselves with the lolly pop of democracy they should have still struggling to feed their population. @M. EMAD your generation are so brainwashed and habitual to remain in darkness that thy cannot tolerate light till then best wishes for your stone age living life style. Progressive, Secular, Broadminded, To the people for the people and by the people rule , Secular value, Modern lifestyle and creative thinking, Modern logical education, equal right for women, liberal society these thing are not made for you and likewise mindset. its easier to call it 'darkness descends' now! when Zia is not here. We must understand that Zia rose upon the darkness itself. He was brought into power by one man Zulfiqar Ali Bhutto, like Musharaf was brought into power by one man Nawaz Sharif. If we want enlightenment then we should work towards education and build our understanding of life around us so we are not carried away on the moment of euphoria. @Khalid Khan What bull! If you were 40 you would have been a kid at zias time...i doubt you attend school to make such comment! Zia completely changed the mindset forcefully to and use Islamisation as tool to implement this. After 30 years, his product, a new generation of non tolerant non educated mulla’s are on streets. And we all know where the country will go from here. 25 March 1971 night 'Darkness Descends' on Pakistan. West-Pakistan people did not realize then. @Khalid Khan : Disagree with you. I am at your age and i recall the fanaticism (which now grownup) was at its infancy - i saw it growing and Zia putting its seeds and pouring water to it. I saw how Millions of teenagers (then my age) were proud of their Jihad. Zia with their Master's support - went on to transform the whole nation into something that we today are paying its heavy price. though temporary Money flow (from Aid from masters) might have seems a period of stability - but in it was hidden the Monster that we saw in its youth no far away - we sacrificed our kids (School kids slaughtered) for the same. @Khalid Khan At the time of Zia's death, you would have been 11 years old. So you would have been born the year he usurped power. Are you telling us you had the vision and acumen between the ages of 0 and 11 to see what was going on in country? Give us a break. I disagree with the title . The should have been " darkness descends 1977- and still going on" Zia's rule has unleashed a genie which has still not been able to get bottled back. The peaceful Pakistani society was destroyed forever. Today Pakistan still suffers from Zia's Gunnah-e-Jaria. @Khalid Khan, Because you were a kid and did not understand what Zia was doing to the country. @JamShed Khan I can't disagree with you about Zia that he was a bad news for Pakistan but can't say the same about Musharraf who was a genuine, honest, and moderate leader. You can't compare his personal integrity and command and understanding of geopolitical situation with the two inapt political leaders that followed him ( zerdari and Nawaz). Let's be fair and honest in passing the judgements. For all of you who are trying their best to justify the dictatorship. All you could come up with "oh corrupt and incompetent civilian couldn't...blah blah" what about corruption in army? The biggest corruption they have done is the coup. Re-employing all the clueless and competency challenged retirees of the army as the head of prestigious institutions without any merit, up to an extent that they have defaced the institutions. In all this, equally involved is the corrupt judiciary who legally endorsed all their wrong doings. The darkness has not descended yet. Worst period of Pakistan. Horrible. If Zia hanged Bhutto due to the fact that later would punish him after being elected again. The he killed Bhutto on pre emptive grounds. I don't know how could the writer differentiate between this tyrannic era of Zia and democratic-tyranny eras of PPP +PMLN. all above mentioned govts decimated opponents using all sorts of methods from baton charge to jails to indictment in false cases ... robbed them their golden period of youthful lives... all plundered public wealth, made scapegoats out of thin air. whats the difference between martial law and democracy in our country ?. a common man's plight lies in peace, employment, education, health and opportunity to rise... this was absent during democracy... it was limping during martial law... wheres the difference then ? @Punjabi Gujjar :"This society needs strong single minded figures. " That again, is a multi-edged sword, if I may coin that term. What makes you think that those 'single-minded' figures will have all the right qualities so that they can make the country successful? If you look at the history of the world, rarely have those 'single-minded' figures contributed to success, some of the exceptions being, Lee Kuan Yew of Singapore, for example. If Zia had lived and continued in power, Pakistan would have been an Islamic superpower by now. We did not realize our full potential as the true nation of Islam due to his unfortunate early death. Indeed it was worst time that changed politics,culture,religion,education system society and the tolerance Pakistan have forever. Very comprehensive article. In my view, Zia was the worst thing that happened to Pakistan followed only by Musharaf. Had Army Generals not made those coups, we would have been way more evolved and developed country. Time to call spade a spade. Our future is in continued democracy. This is the only way forward. @Punjabi Gujjar Ah.. you just murdered history with your own two bare hands. Soviet invasion had not taken place when Zia took over power and got Bhutto judicially murdered. There was no 9/11 off-course when Musharraf deposed an elected PM. Paying his deeds until now! Worst time for Pakistan. I grow up in that era when school college courses change. Islamic extremist was start feeding by government and ethnic group were taking over democratic parties. Freedom lost in that era still no found. It is now a fashion to degrade Great Genl. Zia. unfortunately , Zia cultivated the seeds for regional and ethnic politics, which we have not been able to get rid off ever since! Look at the recent events , A person is regarded as a Fraud, Cheat and Thug by the highest court , and the regional politicians reelect him as their Leader , Our education system has deteriated so low that we do not produce any Leaders for the love of country except to come and loot the treasury. No country in the history of mankind progress unless they implement TRUTH and JUSTICE in their society ! if zia was against pakistan why did usa eliminated him ?zia is only ruler who ruled yet didnt made billions for his family. Zia survived by the kind courtesy of US who used him as pawn to smoke out Soviet Union once and for all, by humiliating it in Afghan war. Once done Zia was an irritant to CIA for putting fire in Ojari camp arsnal and not getting Auditors of Pentagon the access. The sophistication of mechanism to disable pilots at certain altitude displyaed foot prints of American Technology. There was no bomb hidden and battle tried work horse C132 did not blow in air. It simply creashed and burnt. CIA operates independent of other agencies and US ambassador was accidently killed as sacrificial goat for agreeing to get a ride with Zia. No one has mentioned the Federal Security Force (FSF) under the direct command of ZAB.After the rigged election of March 1977 the continued protest by the public and killings by the FSF on daily basis was the reason of the takeover by Zia.Things were never under control and Bhutto sahab was adamant to the situation.Finally everyone was calling for army takeover as the FSF formed by Bhutto sahab was uncontrollable and thousands of people have died. A great man. However it over your Mr Zaidi. @Punjabi Gujjar. .."I have never felt the need to "comment". I will leave it to the trolls. ..."society needs strong single minded figures. Inevitably these come from army. Ok, just leave the commenting to us trolls... because what you said is total garbage. Do not dare justify the evil man that single-handedly took the country back to the dark ages. Your justification for repeated military interventions is just plain sick.. I notice that, the police nowadays is out of proportion developed get more authorizetion , than they used to use wooden sticks against citizens of pakistan and now they use automatic guns and Kalashnikov rifle , nowadays no injuring but killing. Don't really agree with the writer's views..
@Sarmad Hassan and PUNJABI GUJJAR agree During zia time i was not living in Pakistan but his presence was felt as a breath of fresh air among muslims of the world he has done some profounding act for muslim ummah which this article does'nt even mention once . sound like his master voice. It was worst time for Pakistan. 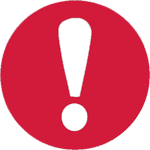 Due to the "Chief Martial Law Administrator (CMLA)" - Cancel My Last Announcement. You get a ruler / leader, what you deserve. Pakistanis love and like to be ruled by Badshahas, Sultans, Shahenshahas and not by democratically elected honest and selfless leaders. As a student we studied equilibrium in Economics and Physics. It's very natural when someone exceeds limit, there's always a force to neutralize it all. Though I have so many things to mention, yet I'll just ask all my friends to what Pakistan was during Zia's Era and where it headed during Nawaz and Benazir tenure. It's not the uniform or Sherwani which create difference, It's actually the person who's wearing . Sadly, even the most educated people of our country take democracy and democratic process as divine's ruling but for our country It's the most devastating option as the prerequisites for this system are missing. Just think for a moment if head of the family applies democracy in his family of four minor kids. With real literacy rate of less than 10 percent ....dictatorship was then and now is the only option left. @JamShed Khan Please don't attack the person, but provide an intelligent answer to their opinion. @Pushpinder Brar None of the countries you have mentioned were across a porous border from Afghanistan with millions of refugees crossing over, the Soviets taking over, or the US visiting to "offer assistance" during the Soviet occupation of Afghanistan, and none of the countries experienced the actual threat of the"either you are with us or against us" in the manner that Pakistan did, post 9/11. So, there is no comparison. @M. EMAD What makes you think "True Sharia Implementation" A) is possible, and B) is a good thing? @Ayub The only three thing that bring some stability to Pakistan even today are all from Bhutto. 1 Nuclear program, 2 Constitution and 3. Pro China foreign policy. Every thing else is complete mess. Ethnic and sectarian based politics including Nawaz Sharif and Altaf Hussein, Drugs, and , law and order situation., all because of senseless policies of , make a guess? and you are right. @Asif You can always go against the grain and raise your voice against what you perceive to be unjust or wrong. So you say Zia was great: Please feel free illustrate and educate. Tell us how he was great and maybe, just maybe we'll be straight! Looking through the lettuce of history is useful for drafting future strategy, but one never get ravenous pliticions absolved from all of this scene. In a parochial definition,history stands single-glazed window to the past events. Lets forget every thing and focus on only development and prosperity of our beloved country, and make sure by our collective wisdom and efforts that every emerging impediment be eradicated on the way of progress. Ziaulhaq's era can be declared as the most glorious, golden, corruption free, and stable period of Pakistan's history. Pakistan's GDP growth was around 6 plus most of the time. Balance of trade was commendable. Foreign investment was flowing and the prices and inflation was well under control.Dollar rupee conversion rose just 4% during his eleven year era. Suzuki, Toyota, Nissan, Hino, Hitachi, Honda, Shell and other huge industrial giants entered Pakistan during this period. Commodity prices and supply was well within the reach of common man. Percentage of people living below the poverty index was much below the current times and times before his era. Unemployment was also not so rampant. Government schools, colleges and varsities were functioning well staffed by merit based faculty. Buzzword was merit not corruption. Zia personally and his team mostly hasn't been blamed for a single penny of corruption from even his staunchest of opponents. Peace and prosperity was all over. @Khalid Khan .Absolutely. His era was a golden era. The corruption was capped. The defense was strong. Pakistan excelled in sports as it was repeatedly crowned world champion in hockey & squash in that era. Cricket team roared. We hosted a cricket World cup first time outside England. Medals at the Olympics were won. International sports and domestic events were held throughout the year. Even in sports like tennis, badminton, table tennis, boxing, chess, football and snooker, Pakistan was a force at the Asian level. Sports federations were devoid of political wranglings.Stadiums and arenas like Iqbal Stadium, Liaqat gymnasium, POF & Pakistan squash complexes etc were built & maintained. etc were built and Pakistan squash complex Super stars and world beaters like renowned sportsmen like Jahangir Khan, Islahuddin, Samiullah, Jansher Khan, Imran Khan, Javed Miandad etc..Every national industrial institution and semi government institutions like PIA, Pakistan Steel, Machine Tool factory, PNSC etc were making profits and were not known for losses, corruption and political inept recruitments. Lived thru those troubled times in Pakistan and still remember my father's instantaneous remarks 'Basti Lal Kamal ne tou Kamal Kar Dia' when he heard the long awaited good news on August 17, 1988. I don't have detailed knowledge of all aspects of issues. Democracy with all its flaws is still the best system of govt. If one elected govt does not perform , bring other. Don't fall in trap of going to military dictector. Elected reps may be corrupt but so would be military rulers. Only diff is elected reps u will know, with military it's doubtful. Point in case is NS, removed by institutions. @JamShed Khan well said in few words. 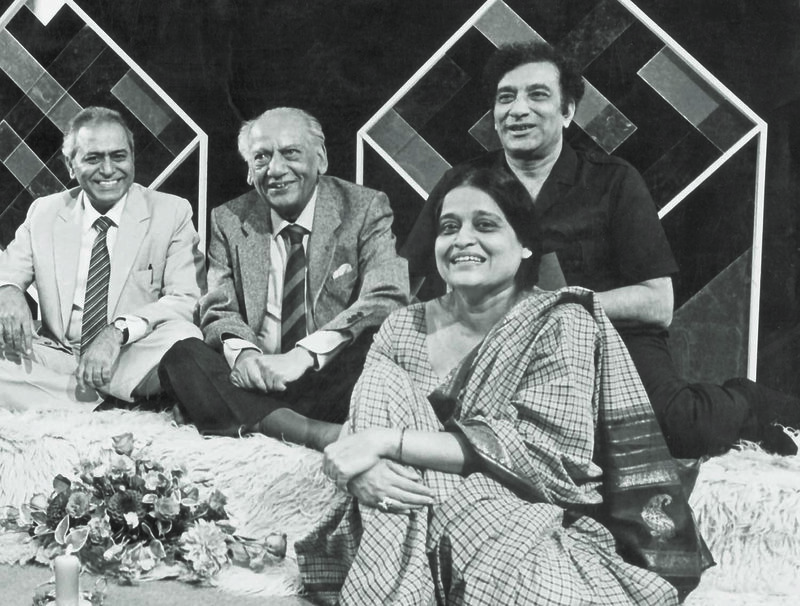 As against the biased analysis it was the greatest era of Pakistani TV and radio as we produced serials like ' Waris' , ' Andhera Ujala' , Fifty Fifty comedy show... endless list goes on with the kids memorable programs like creative puppet show ' Kalyan' and music show ' Sang Sang chalen'..Quiz shows like Neelam ghar and Kasauti were used to nurture knowledge among youth. Historical plays like ' Akhri Chataan' and Drama'81 series were phenomenal. Even pop music was propped up during this period. Moeen Akhtar, Bushra Ansari, Ismail Tara, Nazia Hassan, Alamgir, Ashfaq Ahmad, Mohammad Ali Shehki etc were at their best as they were given the oppprtunity to show their creative genius!! Pakistani TV and radio and economy was way ahead of India. Unfortunately all leaders to include civilian are and power grabbers. Differences between military that they did not steal money like Zardari and NS. Pakistan did prosper during Musharraf. Zia a self proclaimed Muslim was total phony and facade. Internal and external governments like Saudis and USA did solidify his government. ZAB was not sincere person either. Seasoned diplomat and superb statesman Sahibzada Yaqub Ali Khan was the Foreign Minister who led Pakistan to a hugely successful Foreign policy with diplomats and embassy and consular staff recruited, appointed and posted on merit as Pakistan and Pakistanis were given respect throughout the world during that era.International travel wasn't so restricted and even India was easily travelable. Ziaulhaq gets the enormous credit for this. Nowadays the role or even appointment of the Foreign Minister and Ministry is almost non existent!!! @Punjabi Gujjar Nawa ayaee sonyee? first go back and get your facts right. Mushraf took over way before 911 and exactly what existential threat are you referring to? Have you read history of any other country or how democracies work? alas muslims in pakistan did not have a selfless , muhibbe watan of world stature to govern pakistan.. plus the world politics and self interest of mighty powers did not want a strong secular muslim government to exist. America speaks of democracy, yet almost single handed key propped up this dictator. At-least he worked things according to the ideology of Pakistan. Looking forward on your special reports for the rest of our leaders. @Khalid Khan, Khalid, I am 58 year and I used to live in Pakistan in Zia dark era. The Islamization (terrorism) of the society by forced started during his time, before his time Pakistani society was liberal and progressive but he destroyed the fabric of our society and the beautiful culture. We still paying the prize. Countries progress by adopting liberal and progressive values not by promoting fanatic religious culture. There is no country in the history of the world become super power by promoting religion. While many people, from 1948 onward, had negative effects in Pakistan, no doubt the martial law dictators were the worst. And out of these, Zia ul Haq was indeed the very worst. He played the most shameless and hypocritical role and almost singlehandedly wraught the most damage unto our poor nation. The most dangerous things he did, were (a) to support and promote the rise of a narrow, intolerant version of Islam and force it down our throats (b) actively promote sectarianism to divide Muslims and (c) create a system of open and blatant corruption where all manners of illegal and illicit activities flourished and fed the greed of many. We are still groaning under these and many other curses. I find it shameful that there are people in Pakistan who are actually willing to justify the black deeds of this dictator and tyrant. I was 16 years old when the plane fell and did not knew too much of what Zia was doing in all those years but now i certainly look up to the heavens and say Thank You God for what you did to the plane!!!! Bhutto, Zia, Musharraf or Ayub did not ruin our country. We actually did it ourselves. We should not blame the folks, we voted in to ruin our lives, paving way for the autocrats to make a real dent. We as a nation should except our failure. Would that it was possible to build a Taj Mahal with sun-dried mud bricks fashioned from the lowest possible quality soil and that too without an architect. the very father of our nuclear program, the progenitor of our space program, the man who sewed the seeds of our nuclear capability and therefore the very survival of our country, internationally decorated Nobel Laureate Prof Abdus Salam, was an Ahmadi. 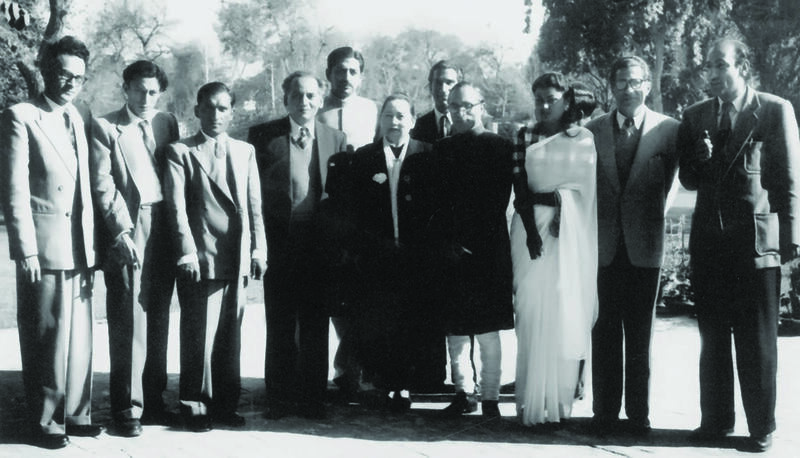 These men are just some of the countless minorities who have done more for your "Islamic" Pakistan than any of you have, and you have the audacity to sing the praises of a man who banished them all - along with every other non-Punjabi non-Sunni non-male - to a lifetime of violent discrimination. Thank you so much for your patriotism. I was in my Twenties, though now live in US, I loved his era. To all haters of the ZIA why don't you hate Yahya, Bhuttos, Nawaz, and Zardari why you guys are so fixated on Zia. It was not Zia who changed the fate of Pakistan as we see it today, it was most for the geopolitical factors around it and the people of Pakistan. We as a nation has brought this nation to this stage and still remaining naïve about it and blaming this and that person. @JamShed Khan Do not mistaken me for one of your haters but I would include you equally to the list of people who know nothing about the ineptness of the corrupt politician we have given to this country. @jawad Zia destroyed the nation's character ,he brought sectarianism, kalashnikov culture and illiteracy in Pakistan. After reading all the comments in Zia's favor, you realize that the darkness has thickened. This country should now be renamed as Ziaistan. "Saudi-Wahabi Islam" The author should know that this American Terminology came into existence after 9/11 not in Zia Period. Huge debt you are getting into with the veritable Chinese with the CPEC and Power Ports. At 33% interest and warring Kashmir, Tibet and India on one side and Afghanisan on the other, it doesn't allow much room for debt default to the Chinese banks. I would back out of CPEC really quickly. Is there still time? Perfect analysis. He alongwith his own adventures had developed a team of like-minded at the top. That,s the country is facing the consequences through his remains in the name of a "Branded Islam." We Pakistanis (in my particular case Canadian-Pakistani), must learn from our past 70 years history and strive hard to work for the betterment of Pakistani nation under a democratic structure. It may be presently corrupt to the core but still it s the ONLY hope. Well read article which less people in our Bangladesh know. Thanks. What a iron man is he. Everytime when Pakistan about to collapse a dictator saved and served the nation really well. Democracy ruined the nation in its every turn. Now we need a dictator like in North Korea. Nice to read story of Pakistan democracy, India also had 2 years of non democracy post 1947. But it came out more stronger. Offcoarse Pakistan will emerge as great democracy and economy one day, once it understand it's real enemies..like everyone have in common corruption of systems..islamisation a blanket over corruption in my view. https://i.dawn.com/primary/2017/10/59f30c487842d.jpg Well articulated but how can you call these policewomen as policemen. Zia time was a Christmas time in Karachi and Lahore mainly, the rest of the country was hell which they didn't care. @Khalid Khan To the friends unable to understand my comment: Yes I was a child during Zia’s time and with the fond memories of childhood you can determine a lot of things... what about the children today? Will they show their satisfaction 20 years from now when they look back to today’s Pakistan? I grew up with those memories and understood very well why General Zia did And why he had to do it. Yes he may have made a lot of mistakes but he also did a few things right. @Pushpinder Brar Those countries were not fighting against a superpower my friend. @Punjabi Gujjar : hope this is your first and last comment. As it entails the tentacles of a military mindset that can only detriment Pakistani state and the inhabitants. Truly lack of progress and education dumbs the society. A topic that will continur to divide the nation for ever. Dawn propogates it. Free speech and all that. Perhaps it reflects my childhood memories. It was certainly a happier time. Religion has exploited by all. I hope the anti zia brigade don't blame him for ISIS as well. 124 comments. Only mine are deleted. What a situation in the daily inaugurated by the QA. Shameful. Zia, a real SOB. This is the least I can come up with to describe the devil who put Pakistan in such chaos and pushed it to the pitless valley of sectarian and communal violence. Before him there was no target killing, there was no kafir stamps, no public flogging, and NO AFGHANS.......Today we are in a mess that is almost impossible to clear and because of this SOB. @Khalid Khan Ask from those who were killed in his time. Peaceful time for who? Mullas with big $ and Riyals, the remaining 98% it was hell. no one can change the past of pakistan, you change the future of pakistan with love and respect for everyone. @Punjabi Gujjar and that someone are not these munafiqs. Musharraf as so called professional shoulder is stating that US will destroy us if we don’t cooperate, then he is definetly not a solider and our army should be disbanded. Civilians are enough to defend the country. Before you give any argument please think why North Korea and Iran exist on world map. Gen Zia Ul Haq like son will never born again in Pakistan, nor any woman in Pakistan or in the whole world have the courage and power to give birth to son like Zia. May his soul rest in peace with countless blessing of Almighty Allah. Ameen. @Pushpinder Brar Sir you were two years old when Zia took over and thirteen when he headed for heavens. Astonishing social awareness and fantastic memory at such a young age. History have witnessed that any solution to problems has to come from within society. Sad truth is an institution when fails to deliver will blame for its failure others. Pakistan self created pseudo threats give military an excuse to conquer Its own country ruthlessly, brother slashed own brother throat. Second only one province dominate other 4 and for them every other are traitor we lost our right arm East Pakistan. 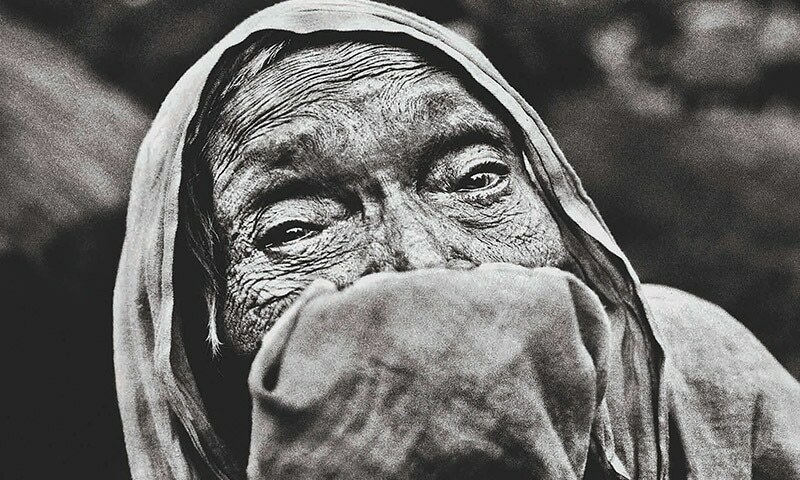 After 70 years we are less educated, very poor and we have no friends but enemies. We can blame civilian and military at the end of the day our neighbors which has never been ruled by military is 6 or 7 economy in world. @Punjabi Gujjar I agree that our society might not be ready for democracy but they have to go through the process and evolve like all the other nations. In army rule if u think we are ruled by a different set of people than you are mistaken becuase the ruling class remains the same only now they are in a Wardi and are more powerful. @TM since external affairs especially those related to the neughbours were always controlled by the Army, i dont think there would have been much difference. My thoughts to your query. @Khalid Khan Agree with you one thousand percent. @Mahmood Really???? ?He was the one who resisted pressure from USA and allowed us to become the nuclear power. He was the one who prevented Pakistan from becoming part of the USSR. He was the one responsible for the disintegration of the Soviet Union: the country which was responsible for the separation of East Pakistan. @Sarmad Hassan You are so right. May Allah bless you. Unfortunately, our politicians are illiterate, inept and unable to handle the vast linguistic or sectarian chaos. the de fecto reason of coups, in Pakistan, is our weak political system. Why aren’t these policemen, henchman and executioners of the evil Martial Law regime being arrested and prosecuted? Their faces are there to be seen in pictures. If Pakistan Supreme Court can invent a “Doctrine of Necessity” to justify subjugation of democracy and brutalization and murder of people, then the Nuremberg trials offer plenty of judicial precedence to bring the facilitators of CMLA to justice. @Asad Were you in Pakistan or somewhere else before that era. Please have a look how the overall world around you started to change in those times. How the sixties changed a lot in the world the eighties did the same. People who think that democracy is the solution of Pakistan,give me answer which government completed his tenure.Only dictatorship is the solution of problems of Pakistan as most of Pakistan developments was made in dictatorship era.Mangla dam was made in Ayub'reign,islamization was at its peak in zia's reign and Musharraf created a system to send the power to grass root level. @Chacha Sir,Killing of people by personal force under the direct command of Bhutto sahab and separation of East wing were the main reason for take over by army.Who brought quota system in Sindh. @sameer This is not what Jinnah said when he built it. @Punjabi Gujjar Very well said, sir! A the lighter side-look at the photo, poor soldiers having a meal and thinking why our chief is feeding us. 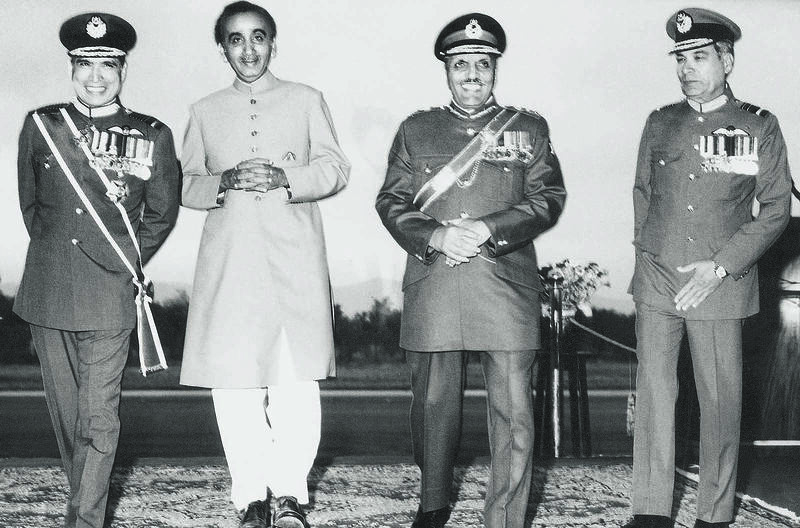 Behind standing, Zia have a laugh knowing what's going to happen to them. I am also above 40 years old now. Zia’s time was the best time I remember in my whole life. Peace and content among the poor. I wish we could have those times back. The problem with Zia was not that he was an"Authoritarian" but that he converted the State of Pakistan into an "Authoritarian State"! Thank you Dawn and its team of yesterdays and today; for honoring the history of professional acumen, of fearful truth and of undying voice for social justice. My sincere prayers and best wishes for all concerned/ involved. Don't just name and blame General Zia. You should not separate General Zia , General Ayub Khan, General Yahya Khan from their institution as they cannot do the harm alone. Its always the team work. @Ayub Separation of East Pakistan or dismantling of Pakistan made by Jinnah was due to decisions of Army and its collusion with Bhutto. Help me understand how Zardari and Nawaz's rule is a model? Zia, for whats its worth had the country running efficiently and all GOvt owned institution were functional. Both Zardari, Nawaz have crippled the economy. Looted millions and caused incedents of MeQ killings in Lahore. This democracy is worst then Zia's rule, look at the street your Office (Dawn) resides. The KDA cant even pick up garbage. @Dr. Salaria, Aamir Ahmad OMG! Your comments stings with pain always so negative. Though I agree with most parts however narcotics supplied to the world by Pakistan through Afghan war point doesn't seem correct. During Zia's regime, Pablo Escobar's supply chain was at its height (proven fact in DEA archives). Who was Pablo supplying to then? Mexican cartels were also heavily involved and having their share of the pie. Again, my point is war with Afghanistan is no excuse for drug supply to Europe or USA. It required long and sustained supply chain that was not easy to come by during the 80s. Most of the drugs at that time and even today is supplied through South American countries. When I, an Indian, read about resistance to despotic and military regime of Pakistan, I feel sad about India at present time. There is hardly any resistance to autocratic tendencies in the country. Germany had Hitler, Pakistan had Zia ul Haq, after Hitler died, Germany changed completely, no policy of Hitler is followed. But Zia's policy and thinking is spread wide and deep in present day Pakistan, nearly 30 years after his demise. This is because many millions in Pakistan still believe what Zia thought and preached. Right or wrong, just acknowledge how indoctrinated a nation we are, look at the brutal murder of Salman Taseer, Mashal, school children in Peshawar, and thousands of innocent men women and children, confirms what we as a nation think, and how we act. Does any other nation allow for thousands of its citizens to be murdered before taking action, Pakistan allowed, by not taking timely action, Why did Pakistan take so long before action was taken, against these murderers, that is the question, and who is responsible???. Zia has gone, but his spirit is alive and well in the mind set of millions here in Pakistan. @Shiraz What i believe or you may say what my conscious tells me is the fact that Zia and Musharaff's era came at the time of Soviet invasion/ 9/11 not because it was unfortunate but because it was all staged up. As soon as these two dictators held the power in it's total grip, these very events came along. It's not they who were planning all this but the American Masters they were serving. Everytime when the Americans want to follow a certain course in any country, the very first thing they do is to topple the Democratically elected Govt and bring in there puppet dictator. Zia and Musharraf were nothing but merely supporting actors to the greater cause of the greater nations. This is a very lop sided article blaming Zia for all the evils in Pakistan. Fact is that Zia administered an unruly country with a iron fist. His regime can be termed as the golden days of Pakistan. What he has done for the country, no other ruler has done. Despite all criticism, his rule can be considered the most productive period for the country. @sameer I agree. Zia reinforced the foundations of islam in Pakistan and we should be thankful for it. It is because of Zia that islam is so firmly rooted in this country. @Fakhar Accountability for all........ Judge, Journalist and Generals........... If only the politicians are targeted then no need of such biased accountability. @M. EMAD Honest Zia got ex PM killed honestly?